I chose my Wikipedia article on the one and only Justin Bieber. There is many valid straight-forward points in this topic. This article tells us from the very beginning of Justin Bieber, from when he first started to now. I wasn’t a very big fan of Justin Bieber at the beginning. I thought he was just one of the kids that will have a couple of songs then be nothing. As time went on, I gained plenty of knowledge about Justin Bieber and then realized that he wasn’t just some kid. He really grew on me and I fell in love and follow his music and him all the time now. This Wikipedia article in particular is accurate in everything that they pointed out. Justin Bieber has received many awards in his career including both Artist of the Year Awards at the 2010 AMA’s and the 2012 AMA’s and many more. In this article there are many different citations that include a lot of page number references from various sites that have a ton of information about Justin Bieber, which is really cool to actually look at. This article in particular has no publications like some of the other Wikipedia articles do. I noticed that the article that I chose has a neutral connotation to it which I like. It truly states very factual events and detailed information about Justin Bieber. There are many people in this world who do not like him at all and have everything negative to say about him but in this article no one is actually bagging on him. Some people either like him or dislike him. Don’t get me wrong, this article does has a lot of knowledgeable facts about Justin Bieber himself and his career, but if you wanted to be one of those die hard fans you would have to go into more depth research to find out things that other’s don’t really know about, which in this case Wikipedia don’t give the reader every little detail. A good option to do if you wanted to be a die hard fan is to search websites that are fan written that could give you those in depth facts about Justin Bieber. There has been a total of 6,340 users who have edited this article. There are 49 users who have edited this article 10 times or more. 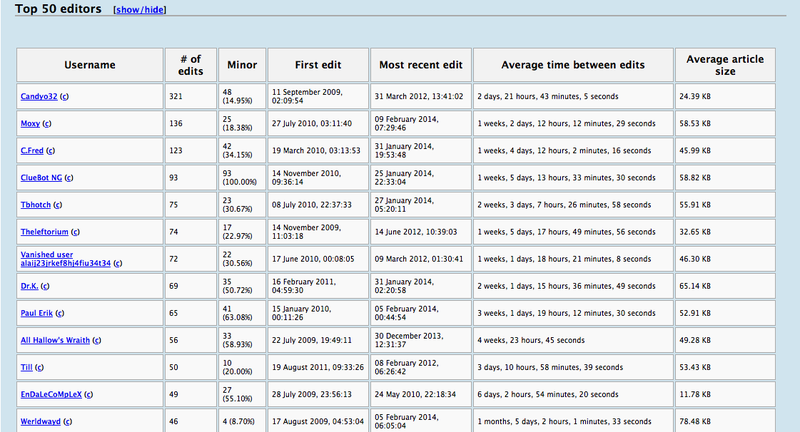 The top user, “Candyo32,” has made 321 edits and has spent over 2 days editing Justin Biebers Wikipedia page. Her first edit was on September 11, 2009, and her last edit was on March 31, 2012. Most of the edits are when Justin Bieber has announced a new album, one of his tours are coming up, or even his most recent received awards that he has gotten. Jenkins’ has a really good point about the significant number of edits, posts, changes and contributors, which I related it straight to the Justin Bieber Wikipedia article because it was a great example that shot right at me. The Wikipedia article on Justin Bieber is a very good learning source because of the fact that he is one of the Hit Stars who us followers are very interested in his music, lifestyle, and his career in general. By adding information to this article is a way how all fans can follow Justin Biebers every more, or any singer. 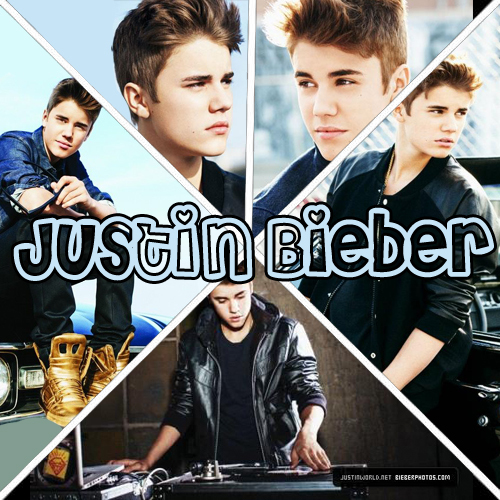 Overall, this page provides knowledgeable information about the early life, career, style, image, and personal life of Justin Bieber. Social networking sites begin with a group of founders sending out messages to friends to join the network. In turn the friends send out messages to their friends, and the network grows. When members join the network, they create a profile. Depending on the site, users can customize their profile to reflect their interests. They also begin to have contact with friends, acquaintances, and strangers. There is no doubt that social media has affected the way of people’s lives. Twitter, along with all the other social media sites, is probably one of the most popular. This networking sites gives people the ability to follow and find anyone in the world. You can post anything and to top it off you can even post pictures, videos, and even vines on twitter. Which in this case I think it is more popular than Instagram and Facebook. This site gained 500 million registered users in 2012, who posted 340 million tweets per day. Twitter is now one of the ten most-visited websites, and has been describes as “the SMS of the internet. Twitter began as an idea that Twitter co-founder Jack Dorsey had in 2006. Dorsey had originally imagined Twitter as an SMS-based communications platform. Groups of friends could keep tabs on what each other were doing based on their status updates. Like texting, but not. The first tweet ever was, “just setting up my twttr”. Twitter has change the way that people tell information. Sometimes people try to act like a different person behind the screen but when their not behind the screen they are a totally different person. This shows how some people live two different lives. Twitter is a great example of someone wanting to talk bad about someone instead of actually telling them to their face, or a rumor being but on their and it keep going on and on. Just a week a go, Justin Bieber, got caught with a DUI and getting arrested and went to jail. I didn’t even give it a minute and it was all over twitter with people commenting and retweeting things about him. Too be honest I wasn’t really shocked what had happened. It was bound to happen. The next day it was all over the news and it official spread all over the world. In Tom Gunning’s essay, he stresses the idea that news is never-ending. He believes that no matter how different and fun it is he will always believe that it will be its own thing. Twitter is much more than just your friends telling you about their day. It has changed the media, politics and business. Many will report they hear their news first on Twitter- stories of natural disasters, sports scores, the death of a celebrity and more are shared first on Twitter. With all these new, experienced, and improved social media sites, Tom Gunning’s theory about twitter will eventually be replaced and not be known anymore, kinda of like how Facebook is today.